Here’s how to update your billing info and upgrade your account’s plan! To access these features, you will need to be logged into your account that manages the billing for your site(s). 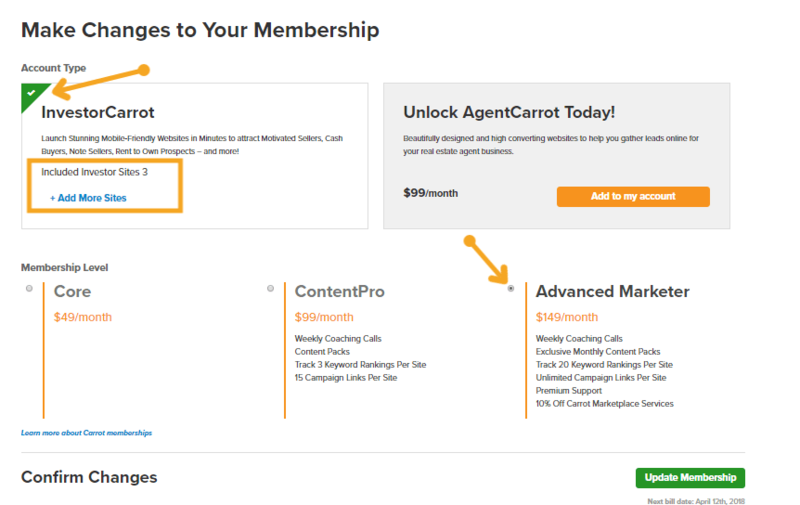 You’ll then click the “membership” tab within your account to access membership details. 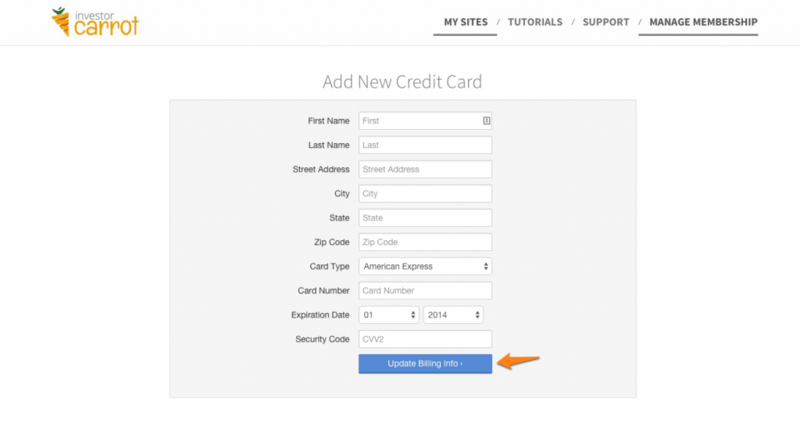 This is a direct link to update your card if you’d like to skip the tutorial. Membership details include your current plan, billing rate and amount, as well as the next billing date. This is where you go to update your subscription to a higher or lower plan as well as include more sites. Billing details includes your current credit card and billing address. This is where you update your credit card for billing purposes. Here, you can make changes to what plan you are on and add additional sites to your membership. You can see the current plan you have by noticing the checkmark by the Investor or Agent plan, see the additional sites for each, as well as the level of resources you have below. To update the membership, simple reselect the options you would like and click the green “update membership” button on the bottom right. You will also see your next bill date listed below the button for reference purposes. To add additional sites, click the blue link below the plan you have and a box will open to insert the total number of extra sites. Please do not include the total number of sites in the account, just the extra amount of sites. For example, if you are on the Core plan and want to add one more site, then you have one site automatically and would insert 1 site into the additional site box to add another to the account. Once you have clicked that button, you’ll be taken to a screen where you will enter your credit card information and then click the blue “update billing info” button on the bottom. We will receive a notification this has been updated. Please note: If you have any open invoices, our system will automatically try processing the payment within 24 hours of the card being updated.